Hahahaha! 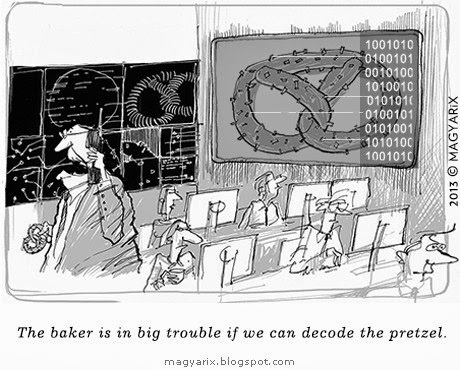 'The Pretzel code'....a sequel to the 'Da Vinci code'! ...Nicely drawn...So New yorker! Oh! I read about this. Their research led to the discovery of the double helix! Yes, this is the off-DNA double helix, that is responsible for body fat.